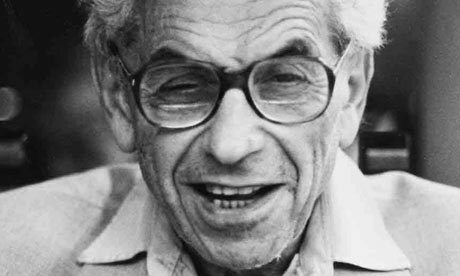 Happy 100th Birthday to Paul Erdős! March 26 is the birthday of one of the greatest mathematicians of all time, Paul Erdős. Considering this fact, it should be easy to write some sort of tribute, right? Well, maybe not. When I originally wrote this post a few years ago to celebrate his birthday, I was very intimidated. I was worried that, no matter what I wrote, I wouldn’t write enough to honor his memory. I even wondered what I should write about. Maybe I should write about the fact that he was gifted mathematician? Erdős is said to rival Leonard Euler as the most prolific mathematician in history, having produced some 1500 mathematical papers, many with collaborators. Maybe I should write about his quirks? He could be known to appear at your doorstep, unannounced, for an extended visit, announcing that his “brain is open”. Legend has it that he had trouble tying his shoes, buttering his toast and opening containers of orange juice. He loved ping-pong. Even his childhood was unique. Maybe I should write about Erdős as the philanthropist? Erdős had little need for money so most of the money he earned was donated … whether to charities, needy friends or to set up scholarships. If there was someone, anywhere, who needed financial help, Erdős was there. Or, maybe I should leave it up to a professional wordsmith? In 1996, columnist Charles Krauthammer wrote a beautiful and touching tribute to Erdős, titled “Paul Erdős, Sweet Genius”. I think I made the right choice. If this isn’t enough and you are interested in learning more about Paul Erdős, you can read a more academic biography by clicking on this link. If reading a book is more to your liking, here are three to consider. If you are interested in a few items that I have written about him, you can consider reading these.